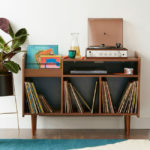 We have seen a few interesting retro designs coming from Made.com of late, which now includes this rather stylish 1960s-inspired Henley storage coffee table. 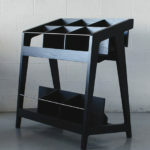 It is a functional, rather than just eye-catching piece of furniture, offering surface space for your bits and pieces, as well as a convenient shelf space to slip in a few extra things (books and magazines for example). 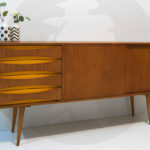 But it does have a cool look too, thanks to the curved edges, an ash veneer and the angled chromed legs. If you want it, £129 is the price.